Hostas, also called the Plantation Lilyare a common sight in many gardens. In my area of Upstate New York, zone 5-4, they are widely used in shady areas. Hostas come in many sizes. They can be plants that mature to the size of a dinner plate, or ones like the Blue Angel that can grow 6 to 8 foot across. The Plantation Lily also comes in an assortment of colors, from green, to blue-green, chartreuse, gold, and white. A white one, is not completely white, but most likely edged / trimmed in green. Buying and Planting Hostas …Hostas can be purchased at garden centers, big box hardware and discount stores like Home Depot and Wal-Mart, and through mail order catalogs. Places like Home Depot and Wal-Mart will probably offer very reliable, more common varieties of hostas. Garden centers will sell more different varieties, but you can get the odd and unusual only through mail order. When you buy hostas at your local garden center, or big box hardware or discount store, they will most likely come potted in soil, in a one gallon container. You will be buying a good-sized plant. If you buy mail order, be prepared to get a wonderful-healthy-unusual plant, but it will be small. Most likely shipped in a 4 inch pot. My Blue Angel, which came from the White Flower Farm years ago, came in a 4 inch pot. It was at most 6 inches across. What a difference 8 to 10 years has made. It is now 8 feet across. I am all for buying Collections of Plants. Most mail order catalogs offer Specials /Collections, where you get one or more of a variety of the same family of plant for a certain price. When buying a collection of hostas the cost is somewhat lower, and you get a variety you might never think of buying singularly. Most people think hostas are only for the shade. I think this is only half right. I have hostas, that have white as part their leaf color, planted out in full sun, and they are doing fine. I have some hostas with blue toned leaves that are also full sun tolorant. I think you will have to experiment with siting the plant, to see what works in your location. I do know, that the Blue Angel hosta, supposedly the biggest of the blue hostas, and probably the largest hosta of them all, is a big baby when it comes to sun. It can tolerate direct morning sunlight, but from midday on, it wants filtered light, otherwise it gets sun burnt leaves. Before planting your hostas consider amending (improving) the soil. Mix a couple shovels of dehydrated cow manure and Sphagnum peat moss into your soil to boost its organic level and water retention ability. When planting your hostas space them further apart than what the instructions say, unless you are planting a very small variety. If they say space them 18 inches apart, space them 24 inches apart instead. This way it will take more time before they become overgrown, and start competing with each other for space. It is not uncommon for many varieties of hostas to grow about 36 inches wide. Dividing Hostas ..If Necessary Hostas can be divided anytime during the growing season. I feel the best time in my part of upstate New York, zone 5-4 is anytime after August 15. If a person were to divide a hosta in Early Spring, I would suggest doing it as soon as the growth eyes / nubs start emerging from the ground. At that exact time, the leave have not yet unfurled, and you have a good chance of the plant looking nice for the rest of the growing season. If you tried dividing the plant once the plant’s leaves have unfurled, the leaves are easily damaged, and will not recover. You will have a beaten up looking plant in your garden for the rest of the Summer. If you postpone dividing you hosta until after August 15th, the gardening season is starting to wind down, and most of the Summer flowering perennials are done blooming. If your hosta looks beaten up after being divided, so what, Fall is coming. The important thing is that your divided hostas will have September and October to reestablish themselves and get ready for Winter dormancy. When dividing a hosta take a Straight Spade and cut the plant right down the middle. If you can, position the spade between where the leaves come up from the root system. After that cut it in half again, making 4 plants. If you can, then cut the 4 in half one more time. With a Round Point Digging Shovel dig / pry up each divided piece one at a time. The hosta is a really strong and tough plant. Even with extreme dividing, it will live. You really can’t kill the plant. After dividing, replant your now many hosta plants in their new homes. Make sure to cover them with an inch or two of soil. If after dividing, you can’t replant them for a few days, place them in a shady spot and sprinkle them with some water to keep their root systems moist. You can probably do this for up to a week if necessary. Hosta Maintenance ..Hostas are really a low to no maintenance plant. The only maintenance to be performed is cutting off their scapes (flowering producing stem), after the flowering period is done. To keep slugs away mulch hostas with mini nuggets. The rough-large texture of the mini nugget mulch will not be an attractive texture for the slugs to travel over. And finally, if you wish, in the Spring give them a bit of all-purpose granular fertilizer, like Epsoma Plant-Tone. Your hostas will love you for it. This entry was posted in planting a SHADE GARDEN, The Autumn(Fall) Garden, The Spring Garden, The Summer Garden. Bookmark the permalink. 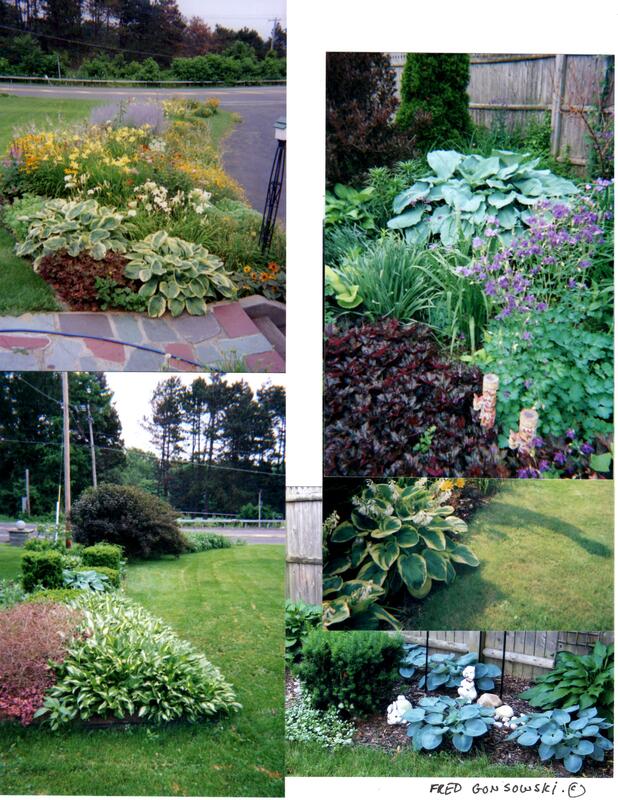 Great article, Fred…I have a hosta “incubator” site where I go each year to spread out more hostas throughout my garden. I do like the idea of getting different varieties and I am especially partial to the blue hostas. I’ll have to start shopping the catalogs!